I am excited to write this review about Mad science. They came to our school, PS/IS 111Q in Queens and did a fantastic job. We are a Pre-K through 8th grade school and the assembly went well for all age groups. Johnny Argon kept the children engaged and had their attention. The scholars had such a great time that we invited them back for our 8th grade assembly. I am looking forward to having them back at the school next year. I just wanted to say how much we enjoyed Andrew's experiments yesterday. It was really excellent and very entertaining for the children & the adults. Andrew was really professional and actively engaged all the kids (no mean feat as they ranged from 3 to 7 years old!). I think he's inspired a few to become scientists!! It's been a pleasure organizing the events for Nate's party with you from start to finish. Thank you again! I just wanted to thank you for coordinating the Mad Science party for my son at the Play Place yesterday. The kids all had a great time and the parents were impressed that they were engaged the whole time! Nancy was really wonderful and great with the kids. They really loved all the dry ice experiments, including the bubbling potion finale! What a fabulous party! Booking was incredibly easy, follow up was great, and the presentation itself was amazing! We had about 30 kids ranging from 4-10 and all of them loved it. The kids all sat enthralled for the full hour and the parents kept commenting on how great everything went. It was definitely one of the easiest and best birthday parties we've had! Thank you Mad Science! We had our mad scientist party in our apartment. There were 14 kids, both girls and boys, who were 8 and 9 years old. They all sat so nicely and laughed and oohed and ahead. It was a really fun way to entertain in an apartment, because it kept their attention and they weren't bored with sitting still. I got rave reviews for my entertainment choice. One little boy said he was surprised that he had so much fun because he knew it was a science party. Johnny Jiggawattz is absolutely stellar! Nearly a month later, my son and his four and five year old friends are still talking about their Mad Scientist's visit. He kept all 20 of them spellbound, giggling and excited for an entire hour, which is amazing in and of itself, but he kept a bunch of jaded adults in the same state too! My son described his birthday party as amazing and the best ever! Celebrated my daughter's 7th Birthday party at the lounge of our building for 38 kids. Mad Science came to our location in downtown Manhattan, set up and did a great show, entertaining the kids for an hour. John, the performer was awesome and even played the part of Wizard perfectly (As it was The Wizard of OZ themed party). Many kids noted that this was the best party they have attended! I would surely recommend them. I write you with such appreciation and joy! What a wonderful show! Sincerely! Not only were the children completely immersed in the experience and performance but it was educational on top of it all. The parents couldn't stop saying how intrigued the kids were and how they too didn't want to just mingle and talk among themselves because they would miss something. Thanks for such a fabulous time! Please let Ron know he did a fantastic job! I just wanted to let you know that our first graders at Community Partnership Charter School LOVED the Bubbling Potions workshop! Our scientist, Thomas (or "Lego" as he is known around the lab)was fantastic. He was enthusiastic, entertaining, informative, and kept the students engaged throughout the lesson. I mentioned to Thomas at the end of the workshop that we also signed up for the bugs workshop on 6/1/15. If possible, I would like to request Thomas to be our presenter for that workshop. I'm sure the students would get a kick out of seeing him again since they greatly enjoyed his workshop today. This was an amazing party! My daughter and her friends were engaged the entire time. They laughed, they cheered, all while learning about science. Her friends were talking about the party the next day. Scheduling the party was super easy. I received two phone calls to insure accuracy of information from both the party coordinator and the mad scientist. Everyone was professional. I highly recommend Mad Science! We absolutely LOVED Rocket Ron and Johnny Argon's Fire and Ice show at Highview school! The show was AWESOME X's TEN!!! The children were fully engaged, amazed by the wonders of chemistry and completely entertained! Johnny Argon and Rocket Ron captivated the audience with their dynamic presentation and were fantastic! 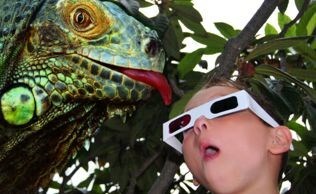 What a fun and entertaining way to introduce science to our children. Anyone who hasn't seen a Mad Science show is missing out!! Last but not least the fun booth was great and far exceeded my expectations. The timing and transition from each group to the next was flawless. "I want to be a scientist"
"My son had Mad Science at his school and only wanted a Mad Science birthday party. Johnny Jiggawattz kept 20 five year olds (mostly boys) laughing, learning and having a blast throughout. All the adults enjoyed it as well. I highly recommend Mad Science as a home party!" "Nitro-John presented to my son and 5 friends. He had them laughing, participating and excited the entire time. His presentation was fun, funny and interesting. He was flawless. My son has been talking about the party for 3 days. That, in itself, is the best review of all." I gave a party at home for my daughter's 8th birthday, and had the good fortune to have the lovely Nitro John as our mad scientist. The kids had a blast, even the more boisterous boys were well entertained for the whole time. They all went home raving about the party and enjoyed the goody bags as well. My daughter gave the highest compliment of all, telling me it was the best party she had ever been to! 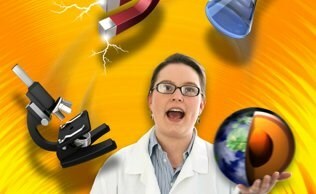 I would have no hesitation recommending Mad Science for a kids party.